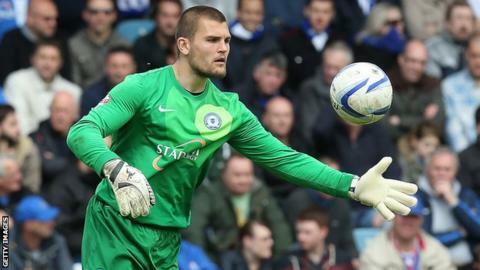 Scunthorpe United have extended the loan spell of Peterborough goalkeeper Bobby Olejnik until 1 January. The 27-year-old initially joined the Iron for a month after losing his place at London Road to Ben Alnwick. Austria-born Olejnik has made four appearances for the League One side but is yet to keep a clean sheet. He is unable to play against his parent club on 1 November as part of the deal, but will be eligible to play in cup competitions for Scunthorpe.